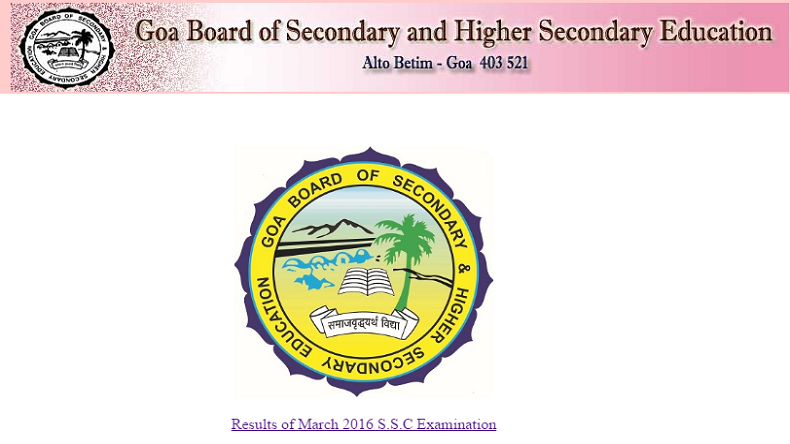 The Goa Board of Secondary and Higher Secondary Education (GBSHSE) SSC results declared at official website – gbshse.gov.in on today at 3 PM. The Goa SSC Examination of March 2016 was held between 01-04-2016 to 22-04-2016 and the candidates who are eagerly waiting for their results can now check their results on its official website. The popular Goa Board SSC Exam was conducted at 26 Examination centers in the state in which a total of 20,806 had appeared. Of the total number of students, 10,387 were girls and 10,419 were boys. Visit the websites: goaresults.nic.in, gbshse.gov.in. Enter your roll number, name and other details. Your score for Goa Class 10th Results 2016 will be displayed on the screen. Save the scorecard and take a print out for future reference.